Submitted 1 week 1 day ago by Norhaida Mohd Suaib. 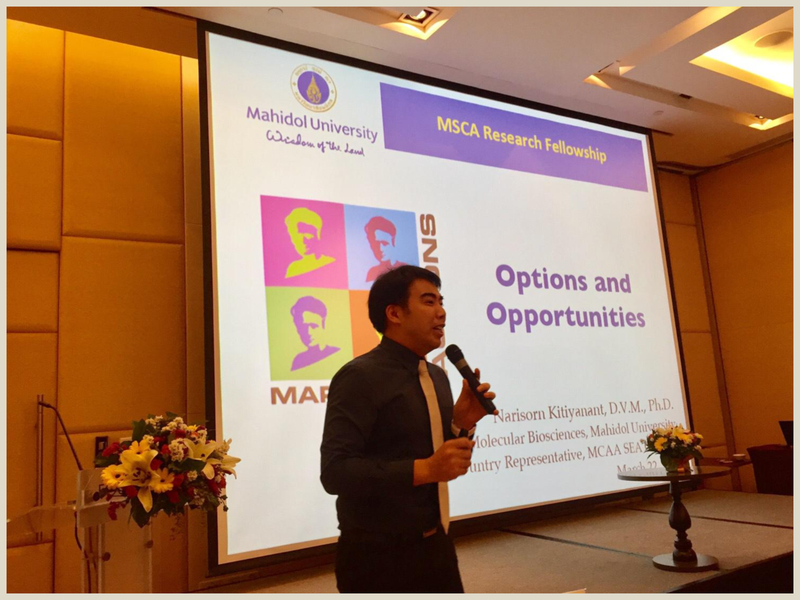 Our country representative for Thailand, Dr. Narisorn Kitiyanant, was invited to deliver a talk on “Marie Sklodowska Curie Actions Research Fellowship - Options and Opportunities” during the “The Future on Your Finfertips with Regenerative Medicines” seminar, organized by Thailand Center of Excellence for Life Science (TCELS) at the Four Points Hotel by Sheraton, on Friday, 22nd March 2019. A total of about 60 attendees from both academic institutions and private companies attended the seminar.